MSI Has recently shown off an absolute overkill M.2 PCIe card that makes the drives from ASUS, Asrock and Gigabyte look puny and emasculated in comparison. 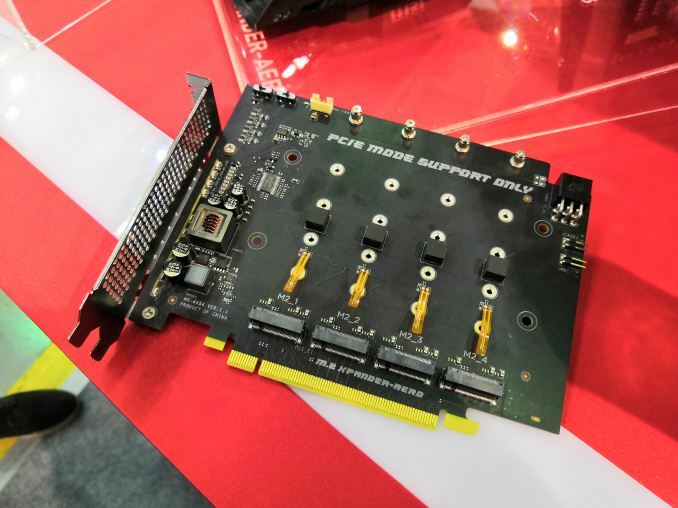 MSI’s Aero card features a large single fan and support for up to 4 M.2 NVMe SSDs at PCIe x4 each. With similar style cards from Asus, Gigabyte and Asrock The M.2 PCIe storage expansion/riser cards are finding their niche while this one originally was a bit different and was aimed at the mainstream Intel platform rather than the HEDT X299 platform now it has been moved over to being packaged with the AMD Threadripper X399 MEG Creation board. This card an updated version of the one they originally were packaged in select Aegis 3 and Aegis TI desktops, though this time with support for up to 4 SSDs over the originals dual slot configuration. Some of the changes from that drive is also a much larger impeller fan over the original’s blower style. Not much here is of note aside from the large fan as it looks very similar to models ASUS, Gigabyte and Asrock have shown off before, basically a PCIe 3.0 x16 card with some simple circuits and capacitors. I can’t quite tell from the pictures what size the fan is but it does look quite large and should keep things relatively cool. So for those who are worried about being thermally throttled with 4 NVMe drives, MSI has the motherboard and PCIe M.2 card for you. Ian from Anandtech has stated that it should be capable of 50w+ of cooling and I honestly think that is a bit of a lowball estimate. Finally, the card also features a 6-pin power connector if for whatever reason you need more than 75w for these drives. The Card, for the time being, will only be available with their Threadripper X399 MEG Creation board for Threadripper 2 refresh. 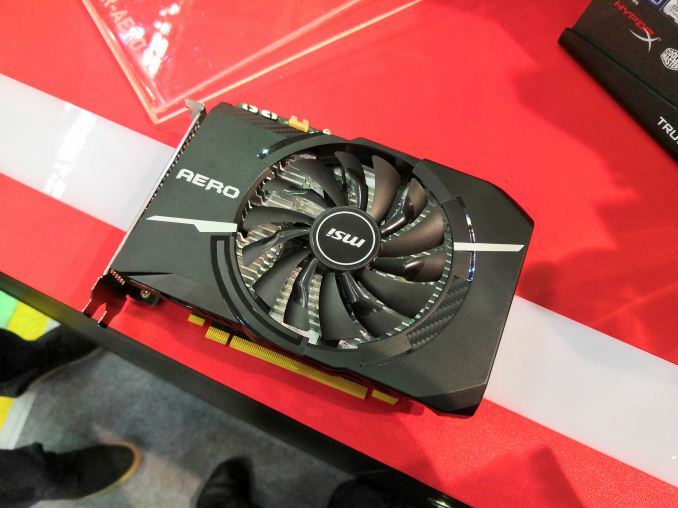 MSI has said they also expect to sell the card individually at retail at some point.